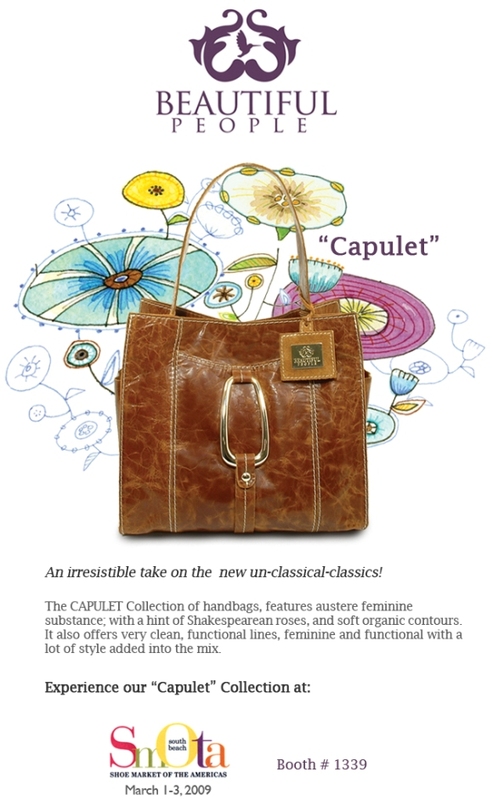 Check out this fine handbag collection at the Shoe Market of The Americas on March 1st - 3rd 2009. Visit Booth # 1339. View the Beautiful People profile on the Fashion Industry Network. Visit the Beautiful People website.